Landlord videos shot of the property clearly documenting the condition of the rental unit before a new tenant moves in is a very important and easy way to head off major problems down the road. There are always disagreements between landlords and tenants at the end of the tenancy regarding the condition of the property. Most landlords believe that the property was in better shape before the tenant’s moved in and therefore, should pay up for the renovation/repair of the property. The tenants actually believe the opposite and simply refuse to pay anything. 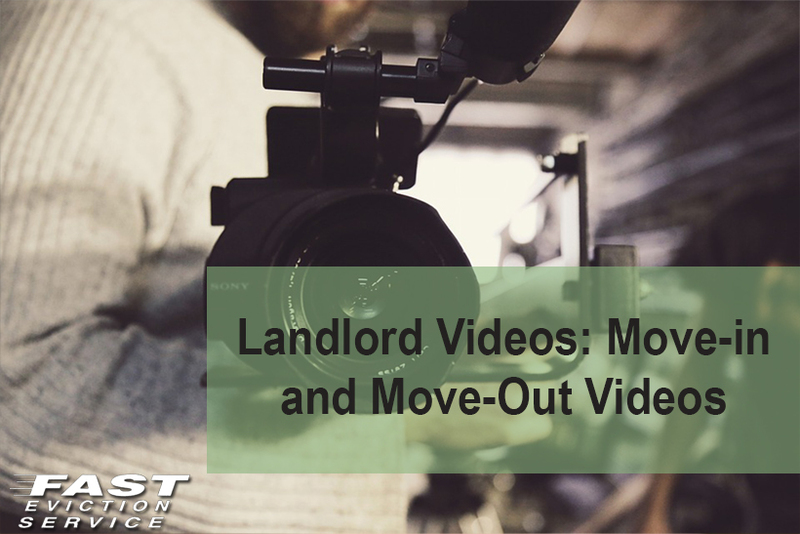 A great way to resolve this problem is by making landlord ‘move-in’ and ‘move-out’ videos. The first video i.e. the ‘move-in’ video should be shot to record the condition in which the property is being handed over to the tenant. The second landlord video i.e. the move-out video should be shot to record the condition in which the tenant is leaving the property. While the tenants should and is perfectly free to make such videos on their own, since you would be the one wanting the tenant to pay up at the end, it’s your responsibility as the landlord to have some proof of your claims. This would help in ensuring that you do not falsely accuse any tenant of any wrongdoing and would always have solid evidence to back up your claims in case the property has deteriorated during the tenant’s stay. A check-list will help you identify the areas that you need to shoot in the video. For instance, it’s a good idea to take close-ups of the walls, the floor and new and old appliances. Spend some time on each so that the current condition is easily identifiable from the video. The check-list would be more or less the same but do take a trip of around the property on your own to see areas where repairs would be recorded. Highlight those areas and take time in recording them during the moving-out video. There is no need for an HD video recorder for this purpose. Your normal smartphone camera would do the trick but it’s important to shoot the video during day time and to let natural light illuminate the surroundings as much as possible. Make sure that you explain everything with your voice while you record so that you understand why you are focusing on any area a lot. It’s best to actually time stamp the video as well by stating the time and date as well as the location at which the video is being shot. A picture is truly worth a thousand words, and nasty disputes that are time consuming and draining to argue or go to court over can be settled very quickly with a side by side shot of any element of your rental unit – ideally shot at the same time of day to replicate the light quality for best comparison. Today’s video and iPhone technology makes it very easy to shoot landlord move-in and move-out videos that can do wonders resolving one of the most common landlord tenant disagreements – the condition of the property before and after they were a tenant.